QBS Blankets are one of our class A fire rated sound barrier blankets used in a variety of applications to block directional noise. 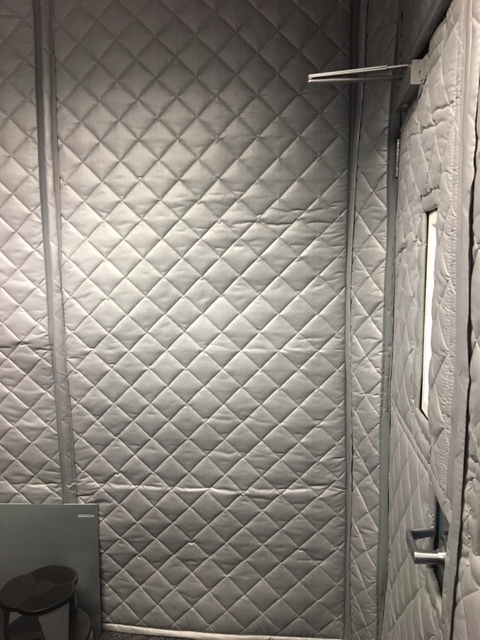 These sound deadening blankets can be used to enclose a stationary noise source in a loud factory, section off a computer rack in a computer room, hang against a common wall to deaden sound bleed, or suspend from a floor mounted frame or the ceiling of your space as a full dividing sound barrier curtain system. There are a multitude of applications for the QBS Blankets, all designed to deaden directional noise and generate a more user-friendly environment. QBS Blankets are fully customizable sound barrier blankets. We can cut patches, windows, slits, openings, add strip curtains for doors, access panels and a host of other components to your system to make it completely user friendly for you. 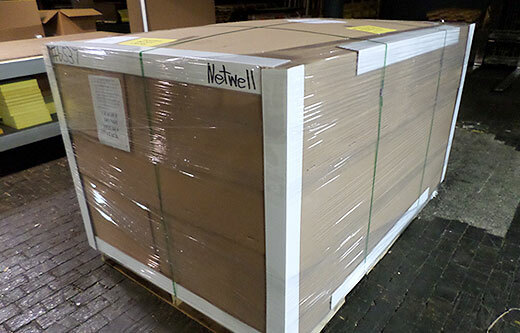 Easy to attach and detach for maintenance, the QBS Blankets are NetWell’s top selling sound barrier blanket system. Available in 4 colors, your custom QBS Blanket system will be CAD drawn prior to production for your approval. QBS Blankets can be cut to match the specifics of your upcoming sound barrier project. The table sizes listed here are for your price point reference. Custom sizes are available, the price points will average up to the nearest blanket size shown here. For a custom quote, call our help desk at 1-800-638-9355. In addition to the standard QBS Blankets, some clients prefer the pre-packaged kits we create with these sound barrier curtains. One kit is called a Dugout, which means we build a 3 sided enclosure and a top, leaving the front face exposed to the room. 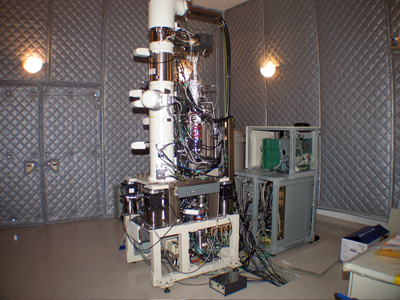 A second kit is a SoundScreen, which is a 4’x8’ QBS Blanket that free hangs from a tubular frame on caster wheels. QBS Blankets are easy to self-install. 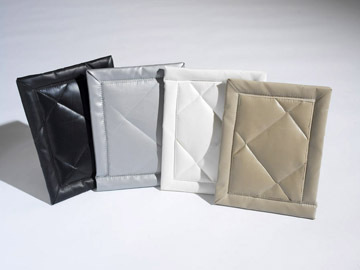 They will deliver with grommets across the top of each section, with velcroed edges for interconnecting the blankets and sealing them up to control leakage. We will cut the blankets to match whatever profile works for your project, and will CAD draw them for you to sign off on prior to production. If your treatment is outdoors exposed to the element, switch the product over to our QBO Blankets. Your QBS Blankets will drop ship to your project site via common carrier. We will carefully wrap your sections on pallets, and encourage our clients to carefully inspect your order upon delivery to ensure there was no damage to your order in transit. For questions related to your noise control project, call our help desk at 1-800-638-9355. 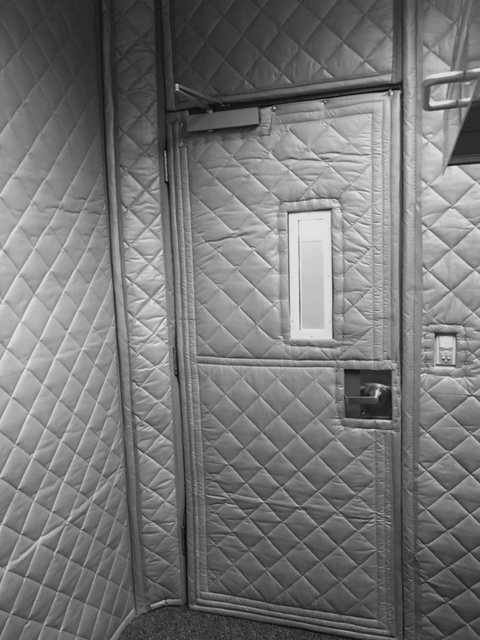 Depending on the size and scope of your project, you may need to consider complimenting the QBS Blanket treatment with a set of sound panels to absorb escaping echoes. Use this tool to identify quantities and cost. QBS sound blankets are custom quoted based on the size of the project. Use this form to submit room dimensions, or call for a custom quote to 1-800-638-9355.